On 22 December 2017, I was in the queue at the Airtel gallery to transfer service provider for my mobile number. I took the token and was waiting in the queue with the token number 37. In front of me was a 82-year-old gentleman, who wanted to transfer a subscriber identification module (SIM) to his own name. The SIM belonged to his daughter and was being used by him. He had all his documents in place including Aadhaar and other identification papers. I was watching while the Airtel representative began to take care of this gentleman’s transfer formalities. The minute the she realized he is over 75, she bluntly said, “we don't issue SIM cards to people over 75 because they die soon”. (Yes, she said that! Or rather the colloquial – woh off ho jate hain). I was appalled on hearing about this policy. She further added, it is not official, but we are asked not to give SIM to elderly people. I saw the gentleman's face, he was helpless and disappointed. He also probably shocked that the representative was mentioning the possibility of death right in his face. The gentleman wanted a phone in his name, instead of that of his daughter, who lives in Dubai. He needed to change it to his name because it is now necessary to link his Aadhaar to his phone and his bank. The bills go to her address and if the bill payment is missed, his phone is disconnected by the service provider. He wanted the bills to be sent to him. Apparently, where Airtel is concerned, this cannot happen because he is above 75. This ageist discrimination is scary. His second son-in-law , Mr Suhas offered to help the gentleman by taking a phone in his name. But this only means a sense of dependency that he was trying to avoid, to begin with. There are many people in India who are alone by choice or by compulsion. What would be their plight? If your service provider rejects you a mobile SIM, who would come to their recue? The reason the service providers give is that, especially for senior citizens, their Aadhaar and fingerprints often fail to match. One wonders why our fingerprints are needed by the telecom operators? When I posted about this incident on Facebook, my schoolfriend Neeraja narrated the same story. The non-matching fingerprints due to age and getting rejected by the service providers is not a singular story. I tweeted about this incident and Sucheta Dalal responded promptly, followed by Vinay Sahasrabuddhe, Member of Parliament from the Rajya Sabha. They are taking this issue with the minister and Telecom Regulatory Authority of India (TRAI). I went to the Airtel gallery again after tweeting this and asked the person whether I can get a SIM for my grandfather who is above 75. They said it is difficult. I have made an audio reording of this conversation. The issue here is not to penalise one representative but bring about clarity and transparency in dealing with the senior citizens when they are buying a new mobile SIMs. I request that service providers make their policy transparent and make newspaper announcements for the senior citizens. As Sucheta Dalal linked the tweets to the @Airtel_Presence, I received a standard bot response from Airtel signed by Dushyant and Soumya. They asked for my number, which is provided but did not get a response from them yet. The entire transaction and thousands of transactions of such kind are getting recording on the CCTVs in the galleries. All that they need to tell if there is an unspoken policy not to issue SIMs to the elderly and they need to come clean about this discriminatory diktat and if so how they plan to train their representatives and display clearly the information for the seniors in their galleries. Remember, this is the same Airtel, which was recently penalised Rs2.5 crore by Unique Identification Authority of India (UIDAI) for opening payment bank accounts without the consent of subscribers and diverting their subsidy to those accounts. Harassment of senior citizens because of failure of finger print matching is rampant and UIDAI has promised alternatives. Although Iris scans are an option, they are expensive and most authentication centres do not have the facility. Moneylife has already written how telecom executives are asking seniors to get telephones issued in the names of their children. But this defeats, whatever pointless objective there may have been in mandating a linkage of Aadhaar with everything. That senior citizens are not even being given SIMs by telecom operators like Airtel is a terrifying new development that disempowers senior citizens! According to a media report a 73-year old has taken the issue of failure of biometrics to the Supreme Court of India and UIDAI has been asked to find a solution. However, in practice there is no clarity as yet, while instances of senior citizens being harassed continue. Can Aadhar identification lead to disempowerment of senior citizens who prefer to be independent or may have nobody to take care of them? It is probably something that senior citizen organisations may want to take up more agressively with the UIDAI and the government. I had gone to change my number from one service provider to Airtel. Now I wonder if it was a worthwhile move? I am a disabled man aged 78. I got my phone linked to my wife and I am using my wifes phone linked to Aadhaar. Unless the apex court intervenes to help the senior citizens and disabled there will be no remedy for all our cries. The government thinks all the Indians are terrorists and every day issues one order which we are unable to follow. Self and some of my friends do not want to have our investments beyond 2018 and have a savings bank account to draw our pension and spend it. Good article, but poorly edited. Example: "If your service provider rejects you a mobile SIM, who would come to their recue?" Should be: "If your service provider 'denies' you a mobile SIM, who would come to 'your rescue'?" Unless a senior citizen is certified as a medical case (like Alzheimer's) which leaves that person with almost no capacity to comprehend and respond, there is just no justification in refusing to issue a SIM card for a mobile or for that matter, refuse any service he/she may want or require. I fully agree with what Dnyanada Deshpande has said. On the limited issue of linking Aadhaar with mobile number, has the process of linking via OTP (and not fingerprint verification) started? Demanding Aadhaar linkage for mobile telephones is contempt of Supreme court orders. Only pds schemes require the linkage, all other linkages such as MFs, Stocks, banks mobile phones are illegal at present o at least till March 31st, 2018. I am 74 and have faced problem for Aadhaar linking from Idea. Initially the daily reminder made me to go to the nearest vendorin model colony Pune, in 1st.week Nov.That time I was told that the system is. not functioning.I went again two days ago and found the the print can not be taken and that I should go to another entralised branch. I have linked my Aadhaar and pan for the Income tax,the banks,the mutual funds online.The telecom has my pan card at the time of issue of sim.so why they not have online live software? Another logic is that if the Govt has accepted the pan & Aadhaar link for one document what are we required to run for r dry other agency to have it done independently? Senior citizens may be exempted from mamdatory linking of Aadhaar with Banks and Telcos. Airtel's high handedness in dealing with its customers is a given. And they do it shamelessly and go scot free, as the Govt turns the other way. Net result both Airtel and Govt seem to be bent on harassing the common man, especially the older ones. Such people harassing entities need to be taken to task so stricly that others will not even think of such practices. On one hand Govt wants to link everything under the sun to Aadhaar and on the other hand doesn't care two hoots about ensuring failsafe systems to do that. Net result people are forced to run from pillar to post, wasting time and energy. Is there a way to make these entities pay heavily for such unnecessary harassing of the common man ? Why insurance policies are not issued for people age more than 60 in many cases? In the elements of Insurance , I have read that even a man on death bed canbe given a term insurance as the insurer can quote his premium. sa for example if a man aged more than 100 years and asks for a cover of say Rsone lac, the premium can be quotes as Rs.1.20lacs single premium. This is just for argument. o deny a sim card is meaningless. This is completely unacceptable and Airtel must be held accountable for the action it has taken against the employee. Secondly Airtel (and other companies) must come clean on if and whether there is an age limit to issue SIMs. Thirdly surely there are simpler means of verifying Aadhar - after the biometric testing and electronic recording why do we have to manually verify our phone numbers ? For instance all the telecom companies have our photographs and they should be allowed to verify with the central authorities. People have been harassed and the vendors can not cope. And we have all been spending time with banks, mutual funds, financial institutions in this verification process. I do hope hwen I die my heirs wont be asked to provide a self-attested death certificate! One gets a feeling of discrimination against the senior citizens. My own experience at Vodafone is similar to this, though the experiences vary from gallery (showroom) to gallery. The long wait, callous attitude, being looked at as problematic customers (if the fingerprints do not match) etc. looks like Govt. has put onus on citizens to prove that they are "registered" in the UIDAI database. Pathetic implementation and unnecessary trouble for every citizen when the crooks get multiple SIM cards on the basis of fake documentation easily. After repeated intimations by SMS from Airtel a couple of months back, I visited their store nearby for linking my mobile no with my Aadhar as mandated by the Govt. However, I had to wait for an hour (not adequate seating facility so had to stand for most of the hour) just to await my turn. Finally, when my Token No was called out and I reached the counter, I realized that for some strange reason, the Airtel Store had alloted just one counter for Aadhar linking as well as documentation for new connections (though new connection seekers were being attended to by FIVE other counters). That explained the inordinate delay in my case. Despite my protest about this callous manner of treating customers, the staff didn't apologise nor gave any valid reason for the same. Though I completed my Aadhar linking in a minute, am disappointed that I had to wait for an hour just for my turn - for a ONE MINUTE task. I can imagine the plight of senior citizens having to go through such an ordeal, so welcome the Govt's / TRAI's step to enable online Aadhar linking / re-KYC for senior citizens, which should be enabled for all other mobile no users as well. My experience at Vodafone is similar except it has taken 90 min of wait in a crowded room where only one representative was assigned for linking with Aadhar no. May we know how many MPs and MLAs have linked their accounts and all other transactions with the AADHAR? Will the government declare the names of defaulters? for several days .He was however kind enough to help at last. The authorities in their enthusiasm to link aadhar to many of the transactions are seen to ignore the practical difficulties the sick , old and handicapped persons undergo and the money they have to spend to get the work done. The society being corrupt and eroding values very fast, the people experience lots of practical difficulties to comply with the requirements of the authorities and the service providers either exploit the situation or give all sorts of excuses not to help the needy particularly senior citizens and sick persons of all kinds. The situation is getting disgusted every passing day and the service providers are becoming harsh and unsympathetic towards all including senior citizens and sick persons. There is no one to hear the complaints and come to the rescue of the hapless citizens. All have no access to approach Money Life and others to seek help is also a harsh reality and the authorities should have the mindset to understand the difficulties the people undergo and provided the needed relief appropriately. Airtel India you should be prosecuted for Elder Abuse as you deny mobile service to Senior Citizens.. your personal says “we don't issue SIM cards to people over 75 because they die soon”..
Oh OMG... This is discrimination against Aged.... This is Ageism... Elder Abuse by Service provider... Elders are human and they are part of society this discrimination is against the basic human right to survive... As telephone is basic necessary and it can't be controlled or it can't be stopped /denied to be used by Senior Citizens just because of the age. Government, TRAI, Court should take suo moto action on this telephone company provider to refuse giving service to an Senior Citizens. We at Silver Innings opposed and Protest this move by Airtel. Money life should act on this complaint and we will support it for Elder Right. While the pros and cons of Aadhaar linkage continue to be debated in multiple fora and cases have also been filed in the Supreme Court, a Reserve Bank of India (RBI) promoted institutional advises caution in ramming the linkage through, as seems to be happening now. “There is a need for caution in the manner in which Aadhaar is used by the government, especially as more programmes and economic activities are linked to it. 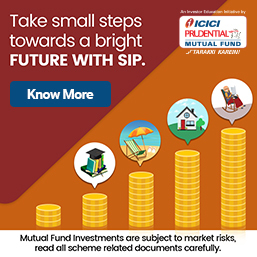 Only time will tell if the benefits outweigh the costs or vice versa,” concludes a research paper published by the Institute for Development and Research in Banking Technology (IDRBT). Among the flaws of biometric identification, the study points out that an artificial finger can spoof a fingerprint on many fingerprint sensors while face authentication and iris biometric are also vulnerable to spoofing through fake iris scans. Nandan Nilekani has pointed out that only in about five percent of the cases, fingerprint authentication is used. Another problem highlighted by the report is the cost benefit analysis of Aadhar linkage. “The cost-benefits of Aadhaar raises a number of issues, especially since the user agencies and even UIDAI tend to be more secretive about disclosing information about data generated, the manner in which it has been used and the nature of users. The UIDAI places very little such information in the public domain and there are no independent agencies like the Comptroller and Auditor General (CAG) that audits these claims,” it says. Interestingly, the failure rate is highest in the districts which are known to have high levels of migratory labour. Similarly, the authentications and failures are highest when a large number of people are present in the villages (between December and February). This raises important questions about the efficiency of Aadhaar and the State Government’s claims about their introduction of ‘anywhere rations’ through their programme called “ePoS”. Further, studies need to be undertaken to throw more light on this aspect of Aadhaar and its role in the supply of ‘efficient’ rations. There are instances where the inability to capture biometrics in three attempts led to the person employed in the enrolment centre used the ‘manual’ override to force the system to capture the biometric irrespective of the quality. There is no way of cross verifying the quality of biometrics stored, especially by the person who has enrolled. Hence, unless different authentic methods are available concurrently for authentication, there is a risk that citizens will be troubled due to the quality of biometrics captured and stored. In the worst case scenario, it could lead to ‘identity denials’ wherein a person can be denied the fact that they are who they are. This lack of quality could be the reason for high level of authentication failures even in states like AP. The study points out that in the realm of business and administration, it promises to have a larger impact than previously thought. It puts a definitive question mark, nevertheless, on whether the linkage will serve the purpose for which it has been initiated with so much fanfare. It seems Govt. of India or Dirty Politicians by forcefully procuring Aadhar Card and further linking it with each & everything wish to see everything ( Mobile / Bank A/cs. / Demat / Insurance / Property etc. etc. etc.) held by an Individual on a single page and than harass the people or any individual who wish to go against their wish and stop / attach everything . Hackers can easily get all these data in no time and every Individual whose data is hacked can be harassed for extortion or kidnapped for ransom . Never apply for Nonsense Aadhar Card and don't be fooled by any benefits as explained by Politicians or you will permanently become their slaves. Many of us have been against the biometrics-based identification numbers since inception and even more vocal about the frightening implications of forcing us to link the Aadhaar number to our telephones, banks, investments, education, healthcare and almost every activity of our lives including death. We hope that the Supreme Court of India will hear our concerns and halt the crazy expansion of Aadhaar’s remit to give the government extraordinary control over our lives while compromising our privacy and finances in a poorly-governed country where there is no redress for citizens for their day-to-day problems. However, the majority of Indians have no such fears. They dutifully enrolled for Aadhaar and even supported the biometric identification. For several of them, including senior citizens, the horrendous implications of biometric linkages began to sink in only when their fingerprints were rejected. Read this comment by Ravinder on Moneylife’s website to understand the panic and helplessness of a person who faces real-life issues. It drives home the draconian implications of this Frankenstein’s monster. Worried at the tone of this comment, I called up Ravinder, hoping to reassure him. The conversation exposed how even a retired Central government officer is helpless in the face of callous officialdom. His banker reluctantly accepted his life certificate this year based on other identification, but warned him that his pension could be withheld the next time the biometrics failed. No solution was offered. His telecom service-provider’s solution was shocking—he asked Ravinder to obtain a phone in his son’s name so that Aadhaar is not a problem. This is a daft and disempowering suggestion to a financially independent senior citizen who needs his own phone for digital transactions. A similar suggestion was made regarding his property. Do we seriously expect senior citizens to give up control over assets only because the government doesn't care? Ravinder desperately sought solutions from UIDAI and others, but nothing happened. Every other day, UIDAI announces solutions to mitigate the problems of senior citizens, including not mandating biometric verification for them. That has yet to show results; moreover, we do not know if these biometric exceptions will lead to fraud in an already unverified Aadhaar database. Yes, Aadhaar data has not been independently verified. Meanwhile, Ravinder and other senior citizens will remain in limbo until the five-member bench of the Supreme Court conducts a full hearing in January 2018 and decides the matter. Even as conscientious objectors to the biometrics-based Aadhaar number have their eyes peeled on the Supreme Court hearing, it appears that information technology (IT) and cyber-security audit service-providers have been engaged in a quiet, but more serious tussle with the UIDAI. This is about the manner in which UIDAI empanels various service-providers and consultants. All service-providers contracted by UIDAI are expected to have high competence, integrity and are approved through a fair selection process. But this is not being done. What better example of this than the quiet cancellation of a massive 49,000 Aadhaar enrolment centres on the ground that they were indulging in fraudulent practices? Today, when new Aadhaar linkage rules are being notified almost every other day, a number of enrolment centres where biometrics can be updated, linked or modified, have vanished. People have taken to social media to complain bitterly about the fact that even centres listed on UIDAI’s website do not exist; there are long queues at the few that remain. People are being issued about 20 to 30 tokens a day as part of a queue system to get the work done. Meanwhile, more serious charges about UIDAI’s internal functioning have started surfacing. These include: nepotism in appointment of friends as consultants and bending rules to favour large consulting/audit firms or friends for Aadhaar enrolment as well as audit work even though they do not qualify, with disastrous results. The selection of Aadhaar enrolment centres is a good example. India has two depositories connected to the two national stock exchanges that have the custody of sensitive dematerialised data and ought to be prime candidates for safe Aadhaar enrolment centres, since they already have verified data of millions of investors. Yet, the National Securities Depository Ltd is approved while the Central Depository Services Ltd (CDSL) has been rejected, although both these organisations are large and professionally-run and are owned by financial institutions. On the other hand, several registrars & transfer agents, with no prior experience, who are far lower in the pecking order, are approved as centres. There is a lot of talk about how more sensitive contracts are being handed out too. On 11th December, UIDAI withdrew the appointment of Deloitte Touche Tohmatsu India LLP as an empanelment agency for conducting information security assessment of UIDAI ecosystem partners. This appears to have been the result of a spate of complaints about the appointment. Sources say that UIDAI had floated two similar requests for Empanelment (RFE) in May and November 2017, seeking applications for audits and e-KYC; but these weren’t widely circulated. Further, the eligibility criteria were made ridiculously stiff, designed to keep out many qualified cyber-security firms. UIDAI imposed a requirement of a turnover of Rs300 crore in three preceding years, for work that offers a fee of just about Rs 1.65 lakh per audit! The Central Vigilance Commission has a set of guidelines to prevent government undertakings from gaming the eligibility criteria to allow their chosen firms to win bids. But this does not seem to bother UIDAI. Strangely, Deloitte was allegedly chosen, although it did not qualify—at least, that is the case made out by one of the complaints sent to UIDAI that I had the opportunity to review. For instance, UIDAI required applicant companies to be registered in India for five years; have a minimum specified annual turnover in the past three financial years (as mentioned above); employ a specified number of technically qualified personnel; and have completed a minimum number of audit assignments. Deloitte, essentially a foreign company, allegedly, did not meet these criteria (the complainant had provided specific proof of this to UIDAI) but was still empanelled as the sole auditor of IT infrastructure security audit for a period of three years on 29th November. We understand that several cyber-security firms have written to UIDAI in protest; soon after Deloitte’s appointment was withdrawn without explanation. UIDAI is going to be giving out a lot of contracts for cyber-security audits, given the manner in which Aadhaar linkages have been mandated by the government. Instead of entering into cosy deals with select consulting firms, UIDAI needs to create a level playing field and distribute its audits to all eligible and qualified cyber-security auditors in a fair and transparent manner. 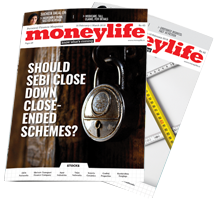 Moneylife had sought UIDAI’s comments on these allegations of favouritism; we had received no reply, at the time of writing. Sounds better! It helps to verify duplications and fakes, and provides accurate data to enable implementation of direct benefit programmes. Any biometric authentication requires physical presence of the concerned person at transaction place which can help getting things steal from us. Aadhaar IS SAFE! Is as true as the Taj Mahal is in Delhi ! This one ends with calling anyone who has obtained the Aadhaar Card, a donkey (could not agree more). Do read the comments...there is a smattering of sensible folks who do not flinch from calling the PM and his lapdogs...FEKU. The major flaw in the reasoning is the initial supposition that it asks one to 'imagine' (repeated), that we are not already living under an undemocratic/fascist regime. The dangers of *Aadhaar/ UIDAI* aren't about privacy or data security alone:the problem is far bigger. To those who support *Aadhaar* and/ or the government, please bear with me for a moment: _imagine..._and I repeat, *_imagine_* for a moment, that there is an undemocratic or fascist government at the Center. Or worse, an Army general who manages a coup and then declares an Emergency. The last time it happened, opposition leaders, including LK Advani and George Fernandes went underground. They masked their identity, traveled across the country, raised money and garnered people’s support for their pro-democracy activities. None of this will be possible any more. In such a circumstance, just switching off your cell phone won’t be sufficient to avoid the government tracking you down. Thanks to Aadhaar, you won’t be able to withdraw money or make any transaction, using even a debit card. The government is linking Aadhaar to train tickets and boarding passes: you won’t be able to travel. *Being a centralized database, it takes just a few seconds to switch off your Aadhaar authentication. - deny you any form of communication. You can’t hide behind an alias. It is linked to your biometrics. As databases get more and more linked - property cards, tax filings, joint bank accounts, school admissions - it takes another few seconds to identify your family members. And extend the same denial of existence to your family, friends or anyone whom you have any relationship with: "Switch them off". Such acts don’t even require a declaration of Emergency. A Facebook post that isn't liked by someone powerful enough can trigger this in a matter of moments: "Switch Off". The problem with Aadhaar is that it is centralized, and it owns you. You don’t have access to your own trail or data, but someone else has unilateral access to you, anytime. And it stores data, for seven years or even more. We don’t need rights or protection for "Achhe Din." Rights and protection are meant for the bad times. But it is during the good times, that it is important to not lose sight of how bad times can be and what we need to protect about ourselves. The likes of Nandan Nilekani (Neelcunt) are now saying that it is a security issue. They then point fingers at Android, iOS, Google or Facebook, which also own a lot of data about us. It isn't similar Sir, none of them have executive powers over me. I have some notional ability to delete them, sign off. They can’t 'Switch me Off'. His argument is akin to saying: “look, we have built a grand, free house for you to live in. Yes, the columns of the house aren't strong enough, but hey, there are other houses in town that also have weak columns". Forward this, till it reaches the powers that try to control our lives. Even professionals like me are having problems in linkages. My Aadhaar name is Sreekumar C.R ( there is a dot between the C & the R), whereas by ICICI Demat, ICICI Bank a/c is Sreekumar C R ( there is no dot but a there is a gap). Now this is the ground for my linking rejected everytime I try. If this my plight despite being well educated and living in a city, imagine the plight of numerous elderly and other people living in rural areas. I think this government should declare its actually UPA3 and all the abuses and accusations it heaped on Sonia, RaGa, Vadra & MMS were simply expressions of jealousy at not having it's hand inside the till. Now, having successfully evicted the earlier looters, the new 'rulers' are doing exactly what they resisted MMS govt for., and promised to be different. I go to Vakrangee Service center, and get charged Rs. 100 for the service - lamination of the registration form - after they tried multiple times to get the fingerprints recorded of the kid. Finally they were able to get only 4 of the 10 fingers scanned and marked all the other fingers with X marks on the acknowledgement form. This means that in the future there has to be a next level of Re-Registration as and when I try to use this Aadhar number for verification. This is the state of software registrations. 2. IT industry is becoming the backbone of all things government. Good for most things, since it began with the need to reduce paper and improve processes. But along the way IT as a tool has been taken, twisted and mangled to suit whatever purposes the 'influential' wanted it to suit them. 3. Now as you see multiple features being launched for Aadhar services, like biometric lock, update feature for email and mobile number, each of which are not requiring some cost to be borne by the citizen, it shows that the IT industry which designed this public service didn't get its full potential 'requirement definition' in the beginning. Requirements have evolved over time, and in the Agile way of project delivery, the Aadhar service also has evolved to prevent breaks or at times to fix break-ins. On such ground, in the news yesterday was Hon Finance Min She Jaitley ji saying that they are open to suggestions on improvements still. So indirectly there are faults accepted and ways to mend them being tried and tested. How many will succeed no one knows but definitely, the base is shaky and so is the future of this nation. With reference what Ramesh writes about scams and their enormity, what about the courts absolving the key players in the 2G scam today? The BJP is too well entrenched (the muzzling of the press being paramount), to let any scam surface in the near future. They are scoffing at the verdict today but when confronted with the shear violence perpetrated by their Bhakts since they came to power, always retort with - the law will take its own course. Yes, till the time the course suits them, otherwise the judiciary can take a jump-in-the-lake. Hence it would be very interesting to see their reaction on the 17th of January, when if the SC is true to its ruling (and does not loose its orchises) on the right to privacy being a fundamental right and throws Aadhaar out, lock, stock and barrel. Being an atheist I cannot say, I pray for the day but that does not prevent me from wishing it to be so. Very well said Sir. Every word of yours is true. Thank you Vivek. I do not believe in absolutes but it does not prevent me from being happy at finding a kindred human being, few and far between as they are. Indeed, the "horror stories" about how Aadhar or the lack of it has harassed bona fide citizens & residents of India, UIDAI's interla workings, and implementation of the entire Aadhar project leaves much to be desired. No other country in the world 'forces' its residents to obtain a 'unique' identity even if they don't wish to avail ANY of the govt welfare schemes. I feel Aadhar will someday be uncovered as the biggest scam India has known. Already, it's well known how millions of illegal immigrants from Bangladesh and few thousands from Myanmar have obtained Aadhar thru 'agents' with fake documents. This is not just illegal, it's also a drain on India's financial resources which should legitimately be accessible to its own citizens and residents. Ironically, while the Govt has so far turned a blind eye to illegal Aadhar enrolments, probably seeing them as a future vote-bank, but in the process has denied millions of Indians of welfare because they couldn't get proper Aadhar biometrics working (no fault of theirs). I wish the Supreme Court of India had given this issue more importance and instead of dithering in starting its hearings on a bunch of PILs in Jan'18, after several postponements. What can be more important than denial of livelihoods for millions of Indians ? One thing is for sure, that Govt has messed up this project. my son had applied for aadhar on July 8, 2017 being a saturday. The centre was closed on July 10, 2017, without uploading the data which was already captured. I do not know what has happened to the captured data? There is no agency wth whom you can cross check. After waiting for nearly one and half months and after writing to PMO, he was allotted aadhar. DoestThis government realise that it is bent on threatening the very people who voted this govt to power. It has reached a point where the same people will vote this govt out, come the next election. It has proved beyond doubt that it cannot implement anything worthwhile without threatening the people at every turn. Any system that puts personal data on the web has to be TOTALLY tamper proof and beyond hacking.